"Men of the 8th Infantry Regiment attempt to move forward and are pinned down by German small arms from within the Belgian town of Libin. Men seek cover behind hedges and signs to return the fire." 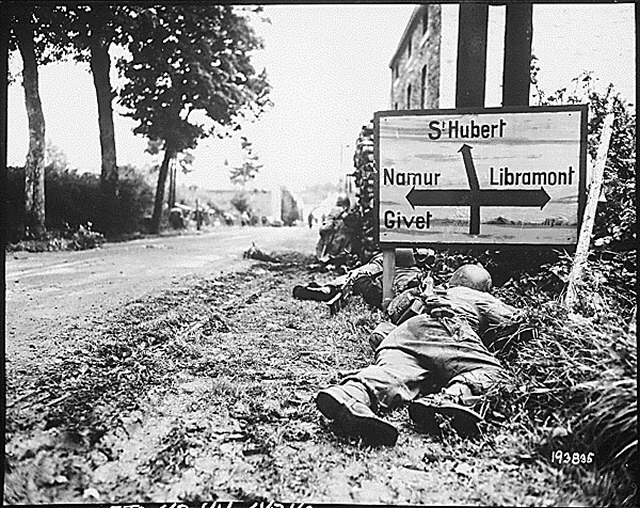 Gedicks, September 7, 1944. 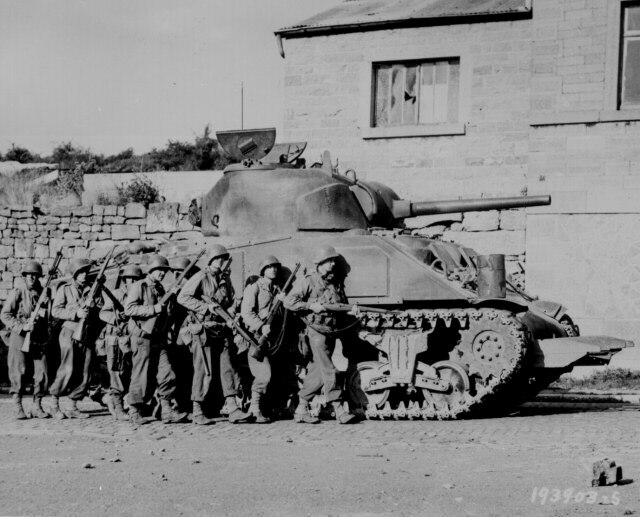 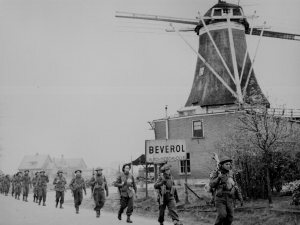 Yanks of 60th Infantry Regiment advance into a Belgian town under the protection of a heavy tank.Spangle, September 9, 1944. 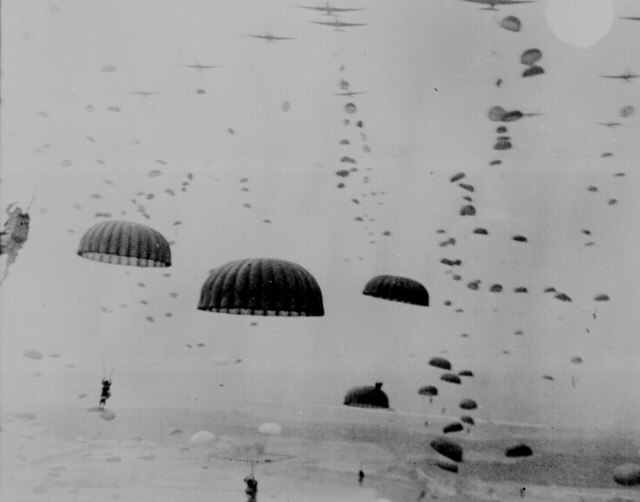 Parachutes open overhead as waves of paratroops land in Holland during operations by the 1st Allied Airborne Army. September 1944. 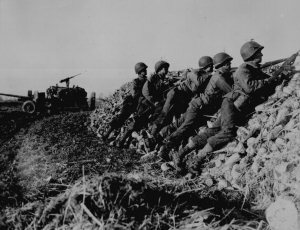 "A U.S. Infantry anti-tank crew fires on Nazis who machine- gunned their vehicle, somewhere in Holland." W. F. Stickle, November 4, 1944. 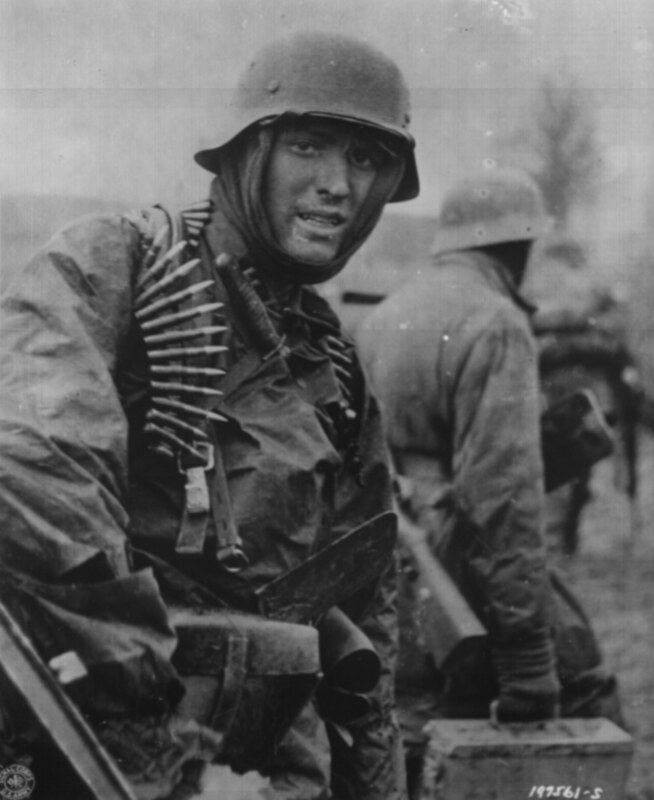 "A Nazi soldier, heavily armed, carries ammunition boxes forward with companion in territory taken by their counter-offensive in this scene from captured German film." Belgium, December 1944. "A lanky GI, with hands clasped behind his head, leads a file of American prisoners marching along a road somewhere on the western front. 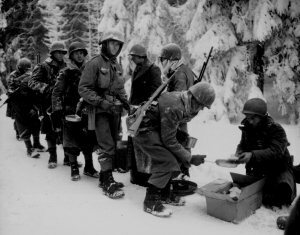 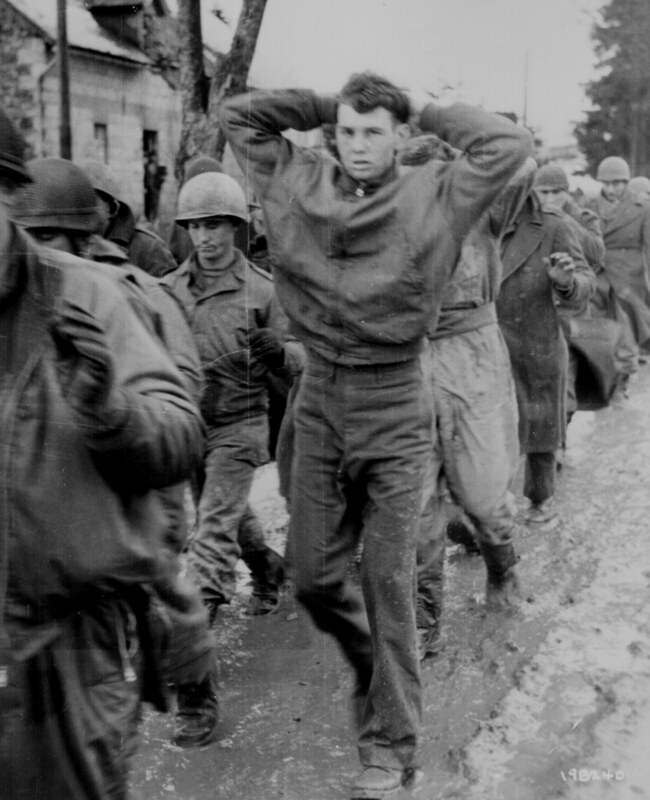 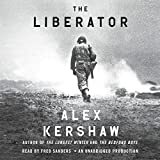 Germans captured these American soldiers during the surprise enemy drive into Allied positions." Captured German photograph, December 1944.